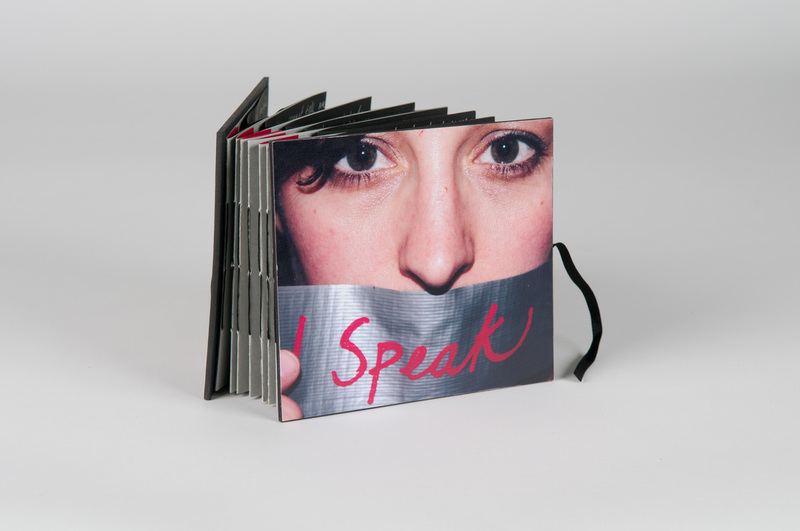 I Speak is a carousel book. 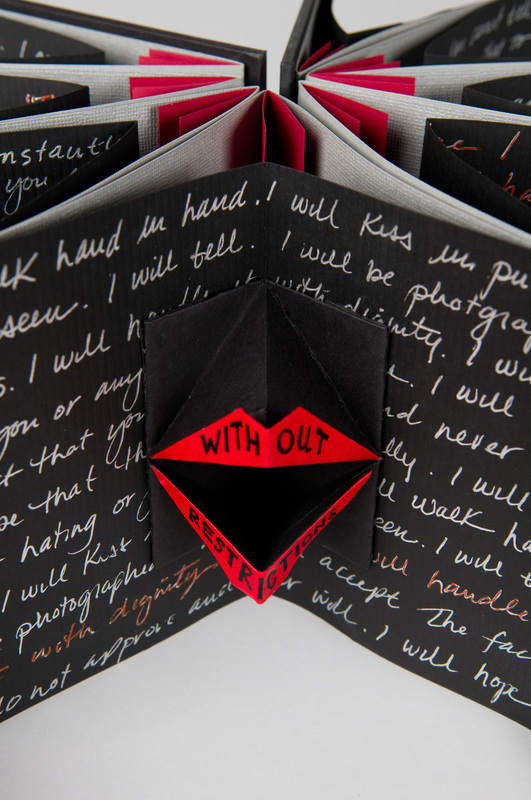 Each page has a set of hand folded and painted origami lips. 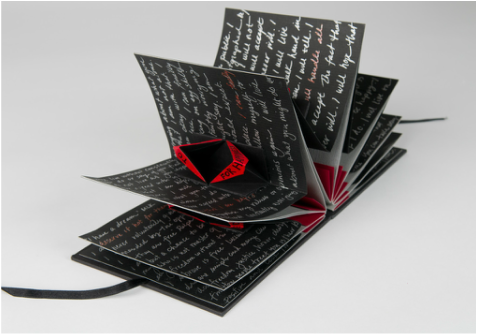 At the beginning of the book, the lips are small. They gradually increase in size as the pages are turned, representing a voice that is becoming more confident and stronger. (lips, red text and silver text) together.